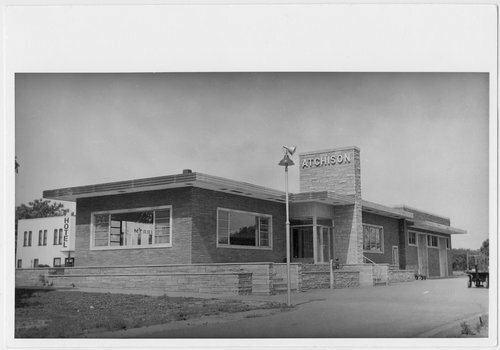 This shows the Atchison, Topeka and Santa Fe Railway Company depot at Atchison, Kansas. The building still stands at the corner of 3rd and Main Street in Atchison. Over the years the building has housed various businesses.